News Archives - MRAG Americas, Inc.
Erika Zollett has an abstract for her accepted manuscript: Safe handling practices to increase post-capture survival of cetaceans, sea turtles, seabirds, sharks, and billfish in tuna fisheries, Endangered Species Research, with Yonat Swimmer. 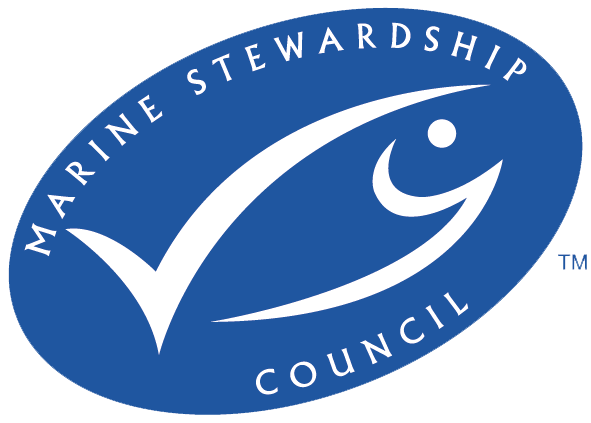 MRAG Americas is ONE of THREE companies in the continental United States that certifies fisheries against the MSC Standard for Sustainable Fisheries; and provides chain of custody to offer supply chain assurances. 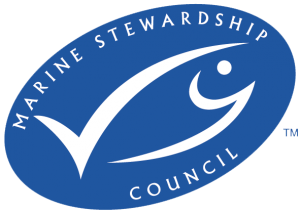 When you see that logo – you have confidence that the seafood you’re eating has been managed and fished in a sustainable way and can be traced back to the fishery. Sourcing seafood from a sustainable fishery provides confidence that science and management employ approaches to ensure that the fishery will continue to support livelihoods and maintain healthy fish populations. For more information check out our Seafood Sourcing and Fisheries Certification Divisions. Our Observer Programs Administrator, Amanda Lees, created a #HurricaneMichael Relief Effort with the help of the broadcasting hosts Paul Fleming and Jason Smith, at FPN Broadcasting, and Captain Anthony Corcella with Pocket Change Inshore Fishing Charters. They are collecting items in several locations throughout Pinellas county and will be delivering everything to the Sheriff’s Department and Fire Group right outside of Panama City Beach on Friday October 19, 2018. FPN Broadcasting will be going live with the efforts throughout the week at several events already planned during the trip to the Panhandle, with the trailer for collections. If you would like to watch the videos, please go to MRAG on Facebook. We will have a full report here next week following the relief effort. Industry-Funded Scallop (IFS) Observers available from MRAG Americas, Inc.
Observer Provider Options Expand for Atlantic Sea Scallop Vessels to include MRAG Americas, Inc. In May 2018, MRAG Americas, Inc. was approved by NOAA Fisheries as a provider company for the IFS program. The industry-funded sea scallop observer program has been an ongoing requirement under the fishery management plan since 2007. This NOAA information informs a variety of research and analyses used to develop and evaluate fishery stock condition, discard rates, and management measures. MRAG Americas began their Atlantic Sea Scallop Observer program in August 2018. MRAG Americas contributed to the development of an Environmental Impact Statement for the Generic Essential Fish Habitat Amendment to the Fishery Management Plans for the U.S. Caribbean in 2004. With this and other legal documents, in 2005 the CFMC completed the requirements of the Magnuson-Stevens Fishery Conservation and Management Act (MSA) to describe and identify essential fish habitat (EFH), minimize adverse effects of fishing, and identify actions to conserve and enhance EFH. The EFH regulation states that the Fishery Management Councils and the National Marine Fisheries Service (NMFS) should periodically review the EFH provisions of FMPs and revise or amend those provisions as warranted, and a complete review of all EFH information should be conducted at least once every 5 years. The CFMC contracted MRAG Americas to conduct the first 5-year review, which was completed in 2011. Since then, a wealth of new information on EFH has been produced; updated EFH maps have been developed for the US Caribbean; Island Based Fishery Management Plans for Puerto Rico, St. Thomas/St. John and St. Croix have been developed, with new species being considered for federal management; and the CFMC has proposed the development of a Fishery Ecosystem Plan (FEP). Once again, MRAG Americas has been selected to conduct the second EFH review for the CFMC, with the following objectives: (1) improve habitat association tables, by species and life stage for federally managed fish and invertebrate species; (2) update the current spatial depictions of EFH; and (3) contribute to the development of a web-based database and mapping application to improve access and ease of use of EFH information at various life stages for better informed stock assessments and fishery management and the development of island-based FEPs. Ultimately, this web-based tool would be accessible to the public and utilized as the framework for identifying and describing EFH. The review will provide the detailed information necessary for the development of the tool and addition to GIS map viewer, but will not develop the actual tool as a deliverable. The 5-year review will be conducted through the end of 2018, with Dr. Valle-Esquivel leading the work, and Dr. Zollett and expert consultant Dr. Garcia-Saez as team members. Members of the Measuring the Effects of Catch Shares Project (catchshareindicators.org) will host a Symposium at this year’s Annual Fisheries Society conference in Atlantic City. The symposium, scheduled for Monday afternoon, August 20, will explore the design of the project and its approach to inform decision making. Presenters will draw on discipline-specific analyses, challenges and results, with specific attention to interdisciplinary stories and lessons learned from these fisheries and program design aspects that can be applied elsewhere. MRAG Americas contracted by the Caribbean Fisheries Management Council to conduct required 5-Year Review of Essential Fish Habitat in the US Caribbean. MRAG will be working closely with Council staff to update, describe and identify and map essential fish habitat (EFH), which is critical for fisheries management to minimize adverse effects of fishing, and identify actions to conserve and enhance EFH.